No need to sacrifice style for quality when these Geronimo 1402p1 swim shorts have it all. 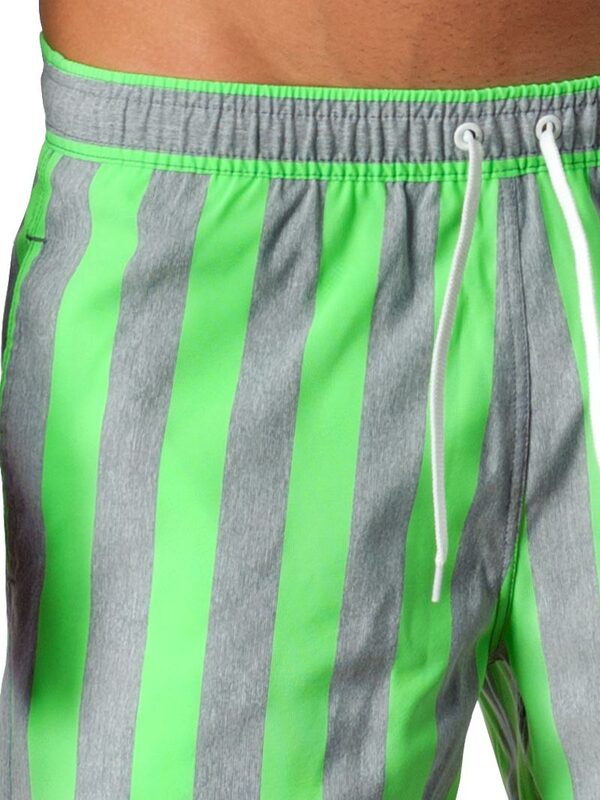 The trendy striped fabric is stitched with impeccable attention to detail for a premium quality short you'll want to wear every time you're by the water. Inside there’s a mesh support brief to help keep your bits and pieces in check. While the waistband provides extra fit and allows corrections of the waist size. The fabric is lightweight and quick drying. The design is completed with brand logo on the left leg.